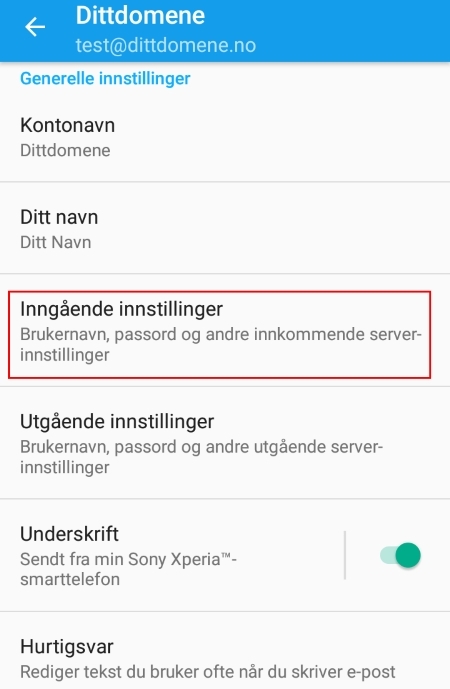 This guide will show you how to edit an existing email account on Android (POP). 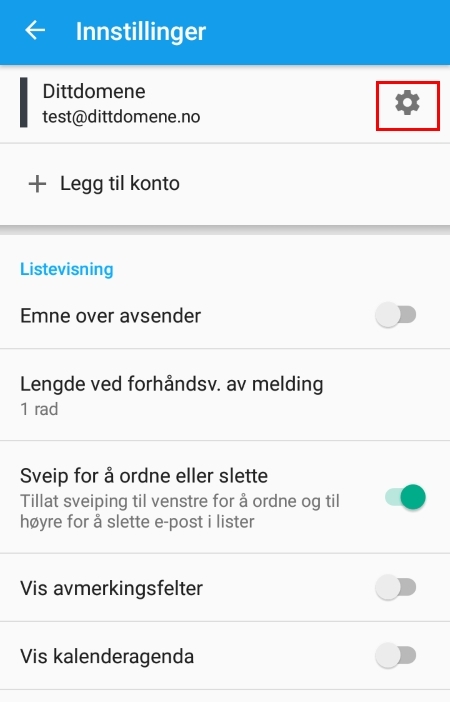 The email apps on Android look different, but the settings are the same. 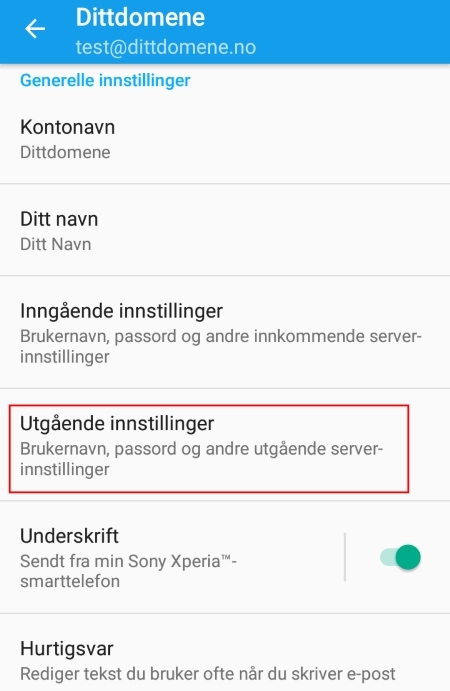 This guide is based on the Sony Xperia Z5 Compact email app. 1. Push the three dots in the upper right corner and select «Settings». 2. Select the gear icon next to your email account. 3. 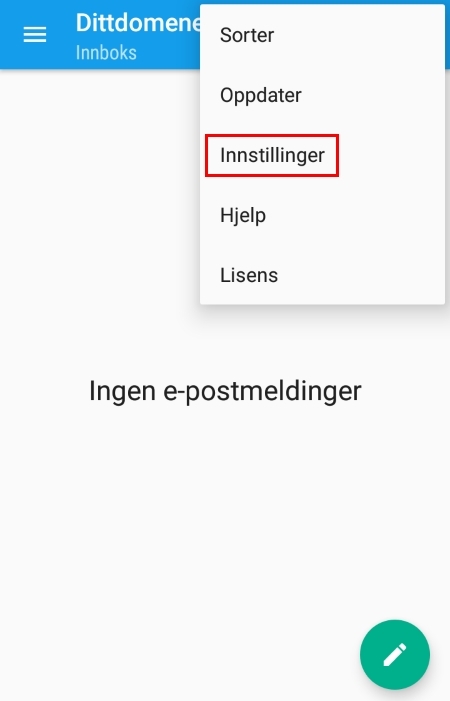 Swipe down and select «Incoming settings». 4. 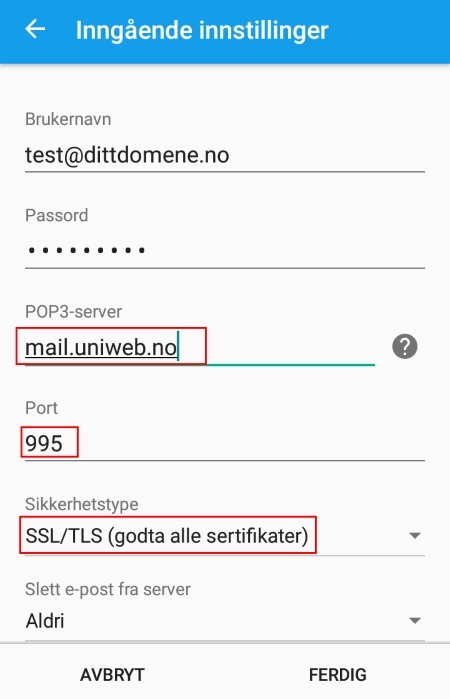 Write the following POP3 server: mail.uniweb.se. Please make sure «Port» is 995. Select the following in «Security»: «SSL/TLS (accept all certificates)». Push «Done». 5. Swipe down and select «Outgoing settings». 6. 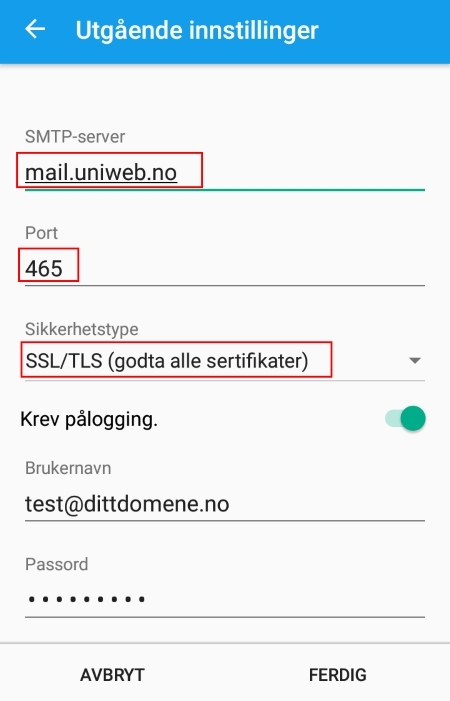 Write the following SMTP server: smtp.uniweb.se. Please make sure «Port» is 465. Select the following in «Security»: «SSL/TLS (accept all certificates).» Push «Done». The changes are now done.